Lynn – You mentioned that your Dad managed to make it to New Zealand in the mid-‘70s. I bumped into a chap the other day who managed to make it to that concert, and he said he ended up sharing a bottle of red wine with Frank in the lobby of the hotel. That got me thinking about how respectful the relationship was between Frank and his fans, and how you seem to have a similar relationship that the media don’t ever seem to pick up on. Dweezil – Well, you know I think that one of the important elements to being able to have the privilege of playing music for your job is that you have to pay attention to the people that make that possible, so there’s a lot of goodwill and support that people send our way when we venture out to play the music in different cities around the world, so we’re definitely very appreciative that people want to come out and have a good time and want to escape some of the things that are going on in their lives and for the couple of hours that we’re able to play this music, you know it’s a meaningful get-together for us. We enjoy obviously playing the music a lot but for some people the music goes deeper than just an evening of entertainment. For some people it’s been a lifelong obsession, their connection with the music, so I of course have to respect that people have supported it since being a teenage. There are some people who have been fans for 50 years, and to me that’s pretty remarkable, and I’m always happy to hear people share their story about how they got into the music or got to meet my Dad or which concert they saw. That stuff is nice to hear and it sort of carries everything forward. Lynn – It’s interesting to me that so many musicians are kind of remote I suppose to their fans, and that definitely wasn’t the case for Frank, and it’s not the case with you. Of course it’s a little bit different now with social media, and it’s easier for a musician to chat with fans. In the old days you had to go through conventional media a bit more. I’ve been a fan of Frank’s since I was 14 years old, and I bought [Dweezil’s first 12-inch single] ‘My Mother Is A Space Cadet’ when it came out. Lynn – I couldn’t help wondering whether back then you already knew you were going to be a fulltime professional musician? Was that your thing back then or was it a ‘could be’ or were you interested in some other things as well? 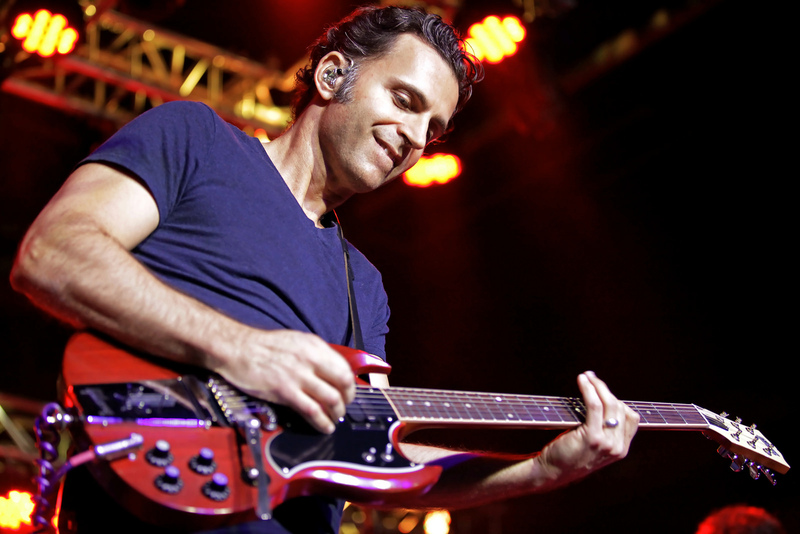 Dweezil – Well I’ve always been interested in other things as well, but the funny thing when I was born, on my birth certificate where it was listed as ‘religion’ my Dad wrote ‘musician’, so it was in some way pre-ordained, you know. But when I started getting interested in the guitar in the back of my mind I always had it in there that I wanted to be able to play the hardest stuff of my Dad’s music and play it on my guitar. I just knew that that’s not the easiest place to start. I had a roundabout journey to get to the place where I could make that a focus and so that’s been an interesting situation because so many people ask me ‘what’s it like to be in the shadow of your Dad?’ His fame as a musician and his accomplishments, and I’ve never looked at it that way because I’m such a fan of the music. My goal when I started to say okay, I would like to give people the opportunity to hear this music live on stage, so that it can be carried forward into the future, I knew that the main focus should be on letting the music speak for itself, play it as best we can possibly play it, but it’s not filtered through me, it’s not modernised by me or anybody in the band, the goal is to play it and respect it in the same way that an orchestra would be playing the music of composers like Beethoven or Mozart. The music when that’s carried forward as it has been for hundreds of years, nobody’s taking it apart and saying ‘we really need to change this and make it more hip for the times’, they’re not saying ‘let’s urbanise it and bring in a rapper, we must have somebody beat-boxing and saying ‘yeeaah Beethoven, yeeaah one time!’ You know it’s like, that stuff is completely unnecessary and it’s the same with my Dad’s music, even though technically for us to be playing the music you could call it a tribute band or a covers band. But you’d have to call an orchestra the same thing, you know what I mean? My point is that we do the due diligence and we take great care to make sure that if someone is hearing the music they’re having an apples to apples comparison. And in doing that, letting the music speak for itself in that way. The funny thing over a period of time of having done this, and this is like the 12th year of doing this, what’s started to happen is that because people can make a direct comparison between me and my father, particularly with guitar, there’s a certain level of achievement there that’s recognised and people know it’s quite an accomplishment to play this really hard stuff and so I’ve sort of over time earned the ability to have the respect for playing the music the way that we do, and in doing so it also makes people more interested in hearing my music going forward, because I certainly don’t play the same as when I started playing guitar, and I have more things that have become interesting to me that are music-related, so one of the things I’m going to do this year is I’m doing two concerts in Holland in November  where I’m playing, premiering some of my own orchestral music with a 100-piece orchestra. 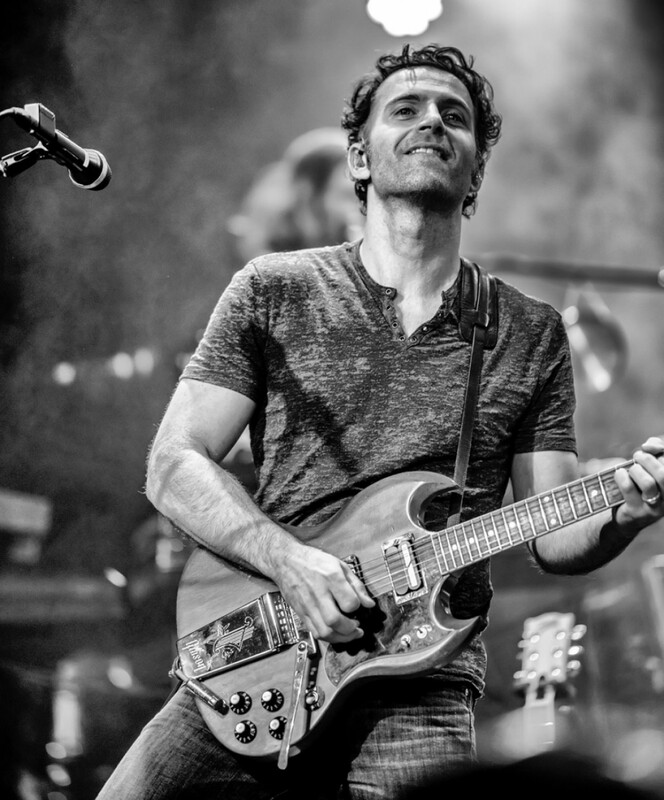 Dweezil – So that’s something that if you asked me 12 years ago ‘do you think you’re ever going to write orchestral music and have a concert of that music played by a small army onstage’, I don’t think I would have said ‘yes’ at that point. But having had the experience that I’ve had leading a band and going through all of the details of arrangements and things in my Dad’s music that became like a music education that I didn’t have before, and that lead to the ability to do what I’m doing this November. Lynn – In a classical concert I guess you could say that the conductor is like the interpreter of the composition, he’s putting the eyebrows on the composition. Do you see yourself in that light with your Dad’s music? 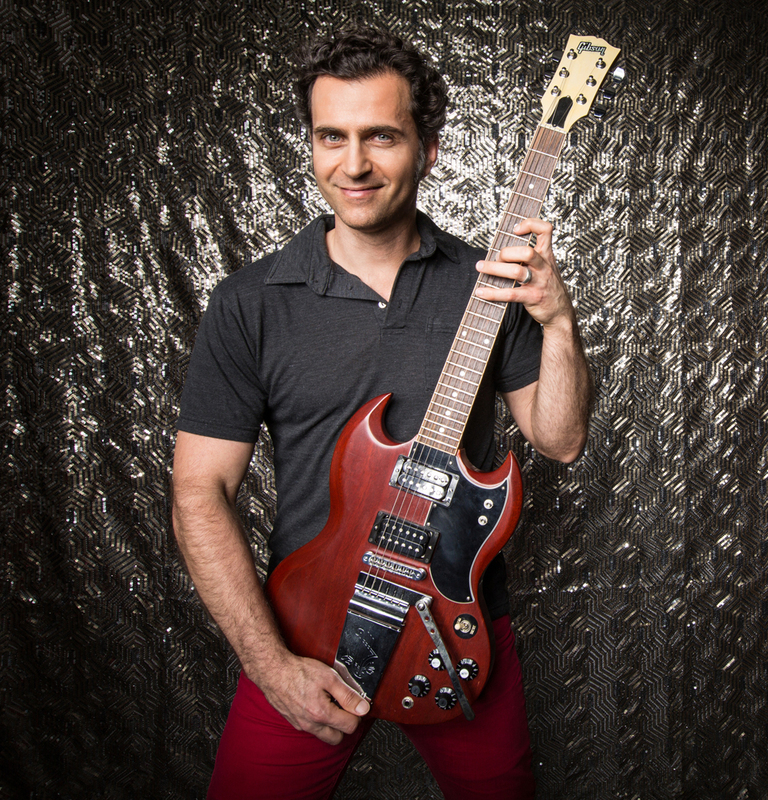 Dweezil – Knowing my definition of ‘putting the eyebrows on it’ would be in the context of any song that we’re going to play on stage, it comes down to the sonic characteristics and the tone and dynamics that we would impart to the music. So in so many ways that’s the role of a conductor, and I think that one of the things that is consistent with the approach that I have is that I know that my Dad as a guitar player had certain tendencies in the way that he played and also in the sounds that he would go for and his earliest influences were rhythm and blues guys, Johnny Guitar Watson, Guitar Slim, Howlin’ Wolf and Clarence Gatemouth Brown and guys like that, so at a certain point in history before there was any distortion these guys were getting an ‘icepick in the forehead’ kind of sound, and my Dad had a quote at some point that I read that the tone that these guys have makes you know that this guitar, or the guy that’s playing the guitar, is not a nice guy, he means business. [Laughs]. So it’s not a polite sound, so one of my favourite things to do is be sure to impart that element where it’s definitely not a polite guitar sound, and when it needs to take your face off it certainly will. Lynn – I notice some of the concerts you’ve done recently you’ve performed some of your own stuff as well as songs by people like Johnny Guitar Watson. Are you going to be doing that when you come down here, or is it going to be all your Dad’s stuff? Dweezil – Ah, I dunno, we may have a few covers or things that we might decide to do, but generally speaking when we make it that far away from home the main menu is going to be Frank Zappa music. Lynn – It’s a difficult one to talk about in a way because February still seems a long way away [this interview was conducted in August 2017], but is the lineup going to be the same as it is currently? 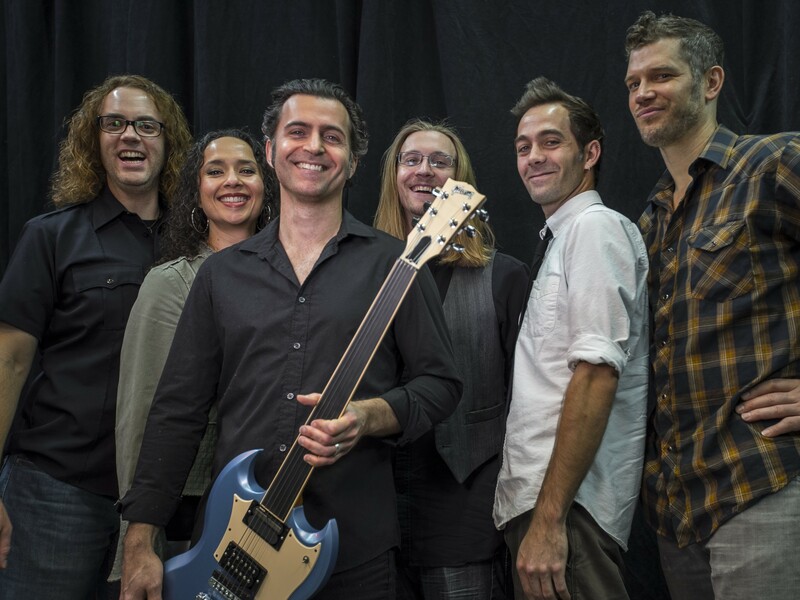 Dweezil – The main band is going to be the same. I’m not exactly sure if the singer that we have that is doing our European tour that starts in October is going to be available for the Australian run. I’m hoping he will be because he’s really good this guy, he’s a friend of ours that… he’s never been officially in the band but he’s sat in with us a few times and his schedule opened up for this European tour and with any luck it’ll open up for the Australian tour as well. But he’s the only person I know that could sit in with our band and play virtually an entire set with no rehearsal, because he just knows the music. So he’s a bit of an anomaly, his name is Adam Minkoff, so with any luck he’ll be down with us on that one, but if it’s not going to be him I’m sure we’ll have somebody who is equally capable in the role. And I don’t mind having some changes from time to time, and my Dad had that pretty frequently, and the interesting thing is that there are fans that have their favourite musicians who were in my Dad’s band, and sometimes if one of their favourites were to depart from the band you’d have people questioning whether anything would ever be as good and eventually they realised that it’s as good and sometimes even much better. So that’s the kind of thing that some people don’t have the ability to be present, they’re always worrying about the future or thinking ‘oh man, that shouldn’t have happened, could shoulda woulda…’ life’s better when you can enjoy things in the moment. Lynn – They’re only here, in the moment. Lynn – When you come down here are you still doing the Freak Out! thing or is it going to be more of a general across-the-board repertoire of songs? Dweezil – I don’t know because at that point we could have a pretty good assortment of things and we could mix it up night after night, but there is something about the early Mothers Of Invention-era stuff that has a certain fresh fun character to it in this period that we live in now so… it is quite possible that we would still have some of that as one of the main themes of the show, but generally in a show that’s two-and-a-half to three hours long, we can have as many as 35 songs in a set-list, and it’s really from all over my Dad’s career, and the last few times that we’ve been down to Australia a lot of what we’ve focused on has been from my favourite era, the middle ‘70s and on into the later ‘70s. But it’s kind of fun to be able to say ‘we have stuff from the very beginning all the way to the stuff in the late ‘80s’. Lynn – I watched a few songs on YouTube from the Freak Out! era and it’s very odd hearing those songs because Frank was a bit down on the performances on some of those records and didn’t perform a lot of those songs much, so it’s kind of interesting hearing versions of those songs now. Dweezil – The thing is an artist perspective is going to be different from a fan perspective and so for example, at one point he went back into the studio and he overdubbed new drum parts and some other things on some of the earliest records where he didn’t like the performances, and a lot of fans didn’t like the new editions, so while it might have appealed to my Dad’s sensibility that some of this stuff would be played more correctly, it didn’t maintain the flavour of that era for the fans that that was their favourite period. So part of what we did when I’m curating the show is if we’re going to play stuff from the early days we do as much as we can to make it evocative of that time period as possible in terms of the sound design, and there’s a lot of stuff going on in the shows, changing eras from song to song and technology wise there’s an advantage these days in being able to switch pre-programmed sounds that we’ve created for that stuff and even to the extent of front of house mixing consoles it’s possible with the equipment that we’re using that you can match up a virtual version of different consoles and mic-pre’s and compressors that are from that era. So let’s say a certain record was done on an API console. That one song if it’s in the show could be set up so that when it’s being heard by the audience it’s running through a virtual version of an API console and the old compressors from that era, and that just adds another layer of the sound design, and then when it switches to another song and you’re pressing a button and then it’s an SSL console or a Neave console, it depends on what era and what you’re doing. So we take it to that level on everything where we try to pinpoint not only the instrumentation but the other gear that could have been used at that time by doing research on stuff that was in that particular studio or whatever. So we really do try to make it like a musical time machine and get as close as we can to those elements, because I think it makes a difference. You wouldn’t necessarily get the same feeling if we were playing all Mothers Of Invention stuff and we used all current modern sounds that you hear on today’s records. It just wouldn’t have the same impact, so we do our best to be consistent with making it evocative of the right era. Lynn – There are those wonderful scenes in the Apostrophe/Overnite Sensation DVD where you’re isolating the different sounds on the mixing desk. I wondered whether you’d used that kind of technique to burrow down into the songs and learn all the bits. Dweezil – In the past, when that opportunity was available to us. At the moment, the Zappa Family Trust doesn’t allow for anything along those lines unfortunately, but for certain songs that we’ve learned in the past, there may be some very dense harmonies involved in a musical passage, and to get it right when we have to transcribe it if there’s no musical scores or notation for that particular piece, we have on some occasions actually pulled out the master tapes so that we could hear on each track what was really going on and we could best recreate exactly what’s on record, because on a mixdown situation certain frequencies are going to mask others and parts are not going to be that easy to distinguish, and the tune in question that I’m talking about is ‘Big Swifty’. There’s a section where there’s a very crunchy harmony that’s happening for one passage, and what turned out to be hilarious was that the way it was orchestrated when you listen to each track… in Western music there’s only 12 tones that you can use before they repeat, so in this one particular moment in the song all 12 notes are playing all at once, and that’s every single chromatic pitch, and the way that it’s orchestrated in terms of how the octaves are split, it doesn’t sound like it’s just that kind of thing where every note is right next to each other, it still has a very good musical tone to it but the harmony is so dense, so that was pretty funny to see when we pulled it apart. It was almost like a musical joke because it was literally every note that you could use all at once. Lynn – I wondered if you’d thought of asking Carlos to contribute to ‘What The Hell Was I Thinking?’ [An ongoing project of Dweezil’s involving dozens of legendary guitarists]. 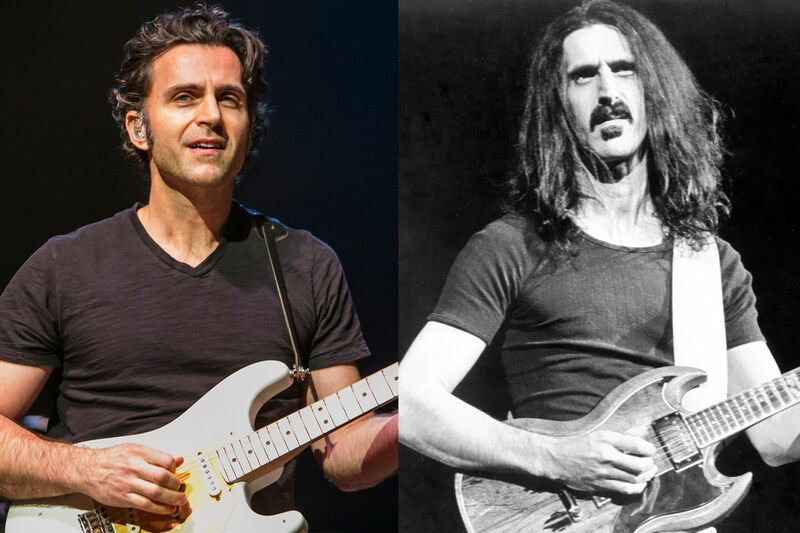 Dweezil – Well, that particular record is certainly, it’s main reason for existing is for me to be able to invite as many pivotal guitar players that have had some sort of impact on my guitar upbringing, and certainly Carlos Santana would be somebody that I would love to have on there, but I don’t know if he would actually WANT to be on there. But the thing that you mention with the ‘Variations On The Secret Carl Santana Chord Progression’, to me that is one of the best solos that is on Shut Up N’ Play Yer Guitar, and the guitar tone on there is great, it doesn’t necessarily evoke the spirit of Carlos Santana’s playing but, you know, Carlos Santana certainly had a thing that he brought to the world of guitar, this Latin-influence thing mixed with rock that really hadn’t been there before. I’ve never met him and I’ve never actually heard that he was a fan of my Dad’s or that my Dad ignored him when they did get a chance to meet, but what I would hope is that if he did actually listen to that solo that he would hear that what’s being played over that sort of Latin-style progression is really good and I would hope that he would see it as a complement and not a brush-off. Lynn – I’m surprised that he didn’t understand more of Frank’s humour. I think Frank’s thing was something like “I’m an equal opportunity offender”, or something like that. 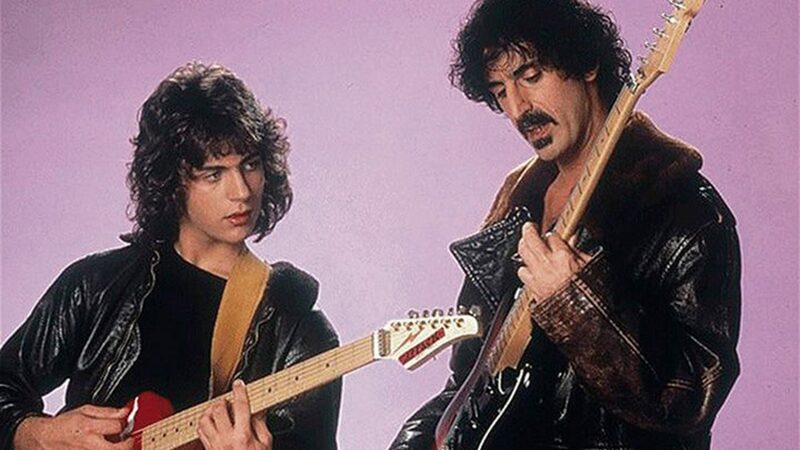 Dweezil – Yeah, if there’s a few songs that have a similar rhythm because it’s the vernacular of a Latin groove, that’s what the joke is about, it may not be that Carlos Santana is the only one that has ever played that groove, he helped people become aware of that sound. But to joke that there’s some variations on the secret which isn’t even a secret, because it’s the obvious chords, but you look at what you said before where you said he was the equal opportunity offender, there’s another song title that happens to be quite hilarious but it probably doesn’t make everyone smile, particularly the person who’s name is in the title, but there’s a performance from when John Lennon and Yoko Ono guested at one of my Dad’s shows and Yoko Ono was doing her thing and she was making her, uh, the music that she [laughs] was presenting to the audience, and uh, and my Dad was making hand signals to the band to accompany her, sounds that would be simpatico with the sounds that she was making, and when you hear it you just wonder WHAT IS GOING ON, WHAT IS THAT SOUND, and the title he has for it is ‘A Small Eternity With Yoko Ono’. Lynn – I wondered if you’re going to do the Guitar Masterclass down here in New Zealand? Dweezil – Ah, I’ll have to check. I think it’s probably something that will be happening. I would hesitate to call them master classes, because I don’t profess to being a master on guitar, but it’s something that people have learned to understand as a ‘unique guitar lesson opportunity’. But what I like to do with those is share some of the things that I have learned over the years that can help speed up the process not only for improving but mostly for giving yourself a visual… I have a lot of things that I do that help connect the dots on the neck for people that struggle to express themselves freely on the guitar. I have some ways to speed up the process to learn the neck better. Lynn – The class is mentioned on the blurb for the concerts. 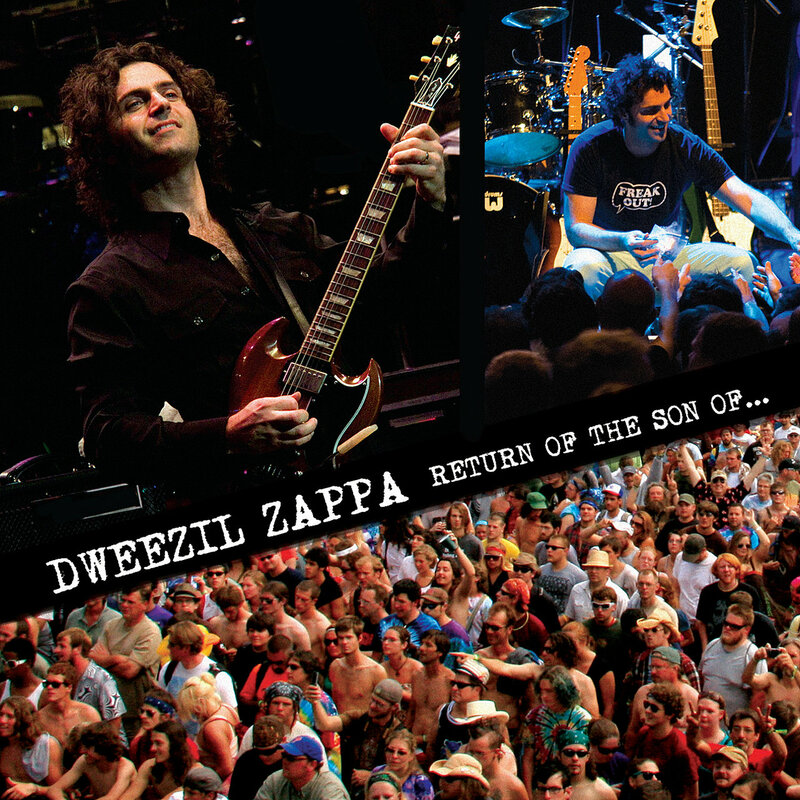 Dweezil – Yeah, I imagine it’s going to be there. We have a fairly hectic schedule, the way it works but. 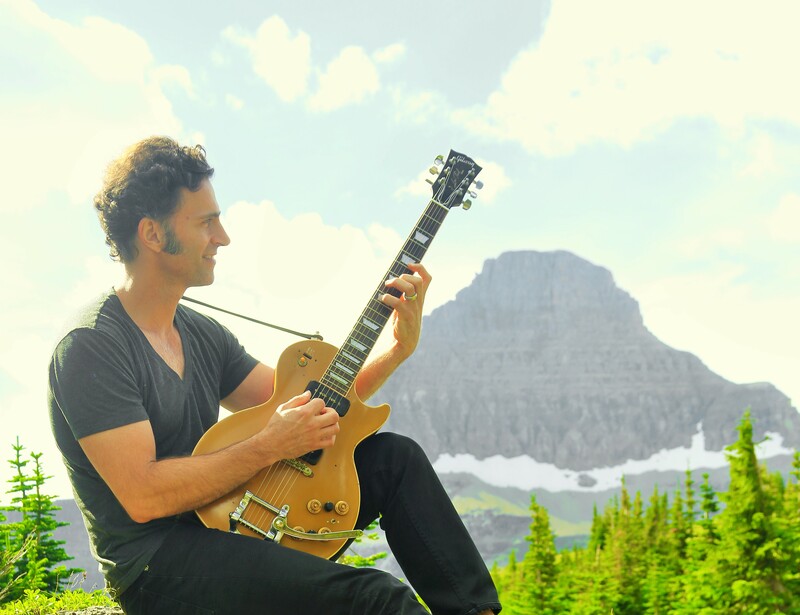 Dweezil – Well I tell you what if there ends up being more questions about it feel free to ring me up and I’ll get to the bottom of it and I’ll be happy to make some announcements on my social media and stuff to help spread the word. But I just don’t have that information in front of me, but I’m assuming it’s the case. [Yes, he is doing the Master Class in NZ earlier on the day of his concert]. Lynn – In burrowing down into your Dad’s work do you feel that in a funny kind of way it helps you to understand him better as a Dad? 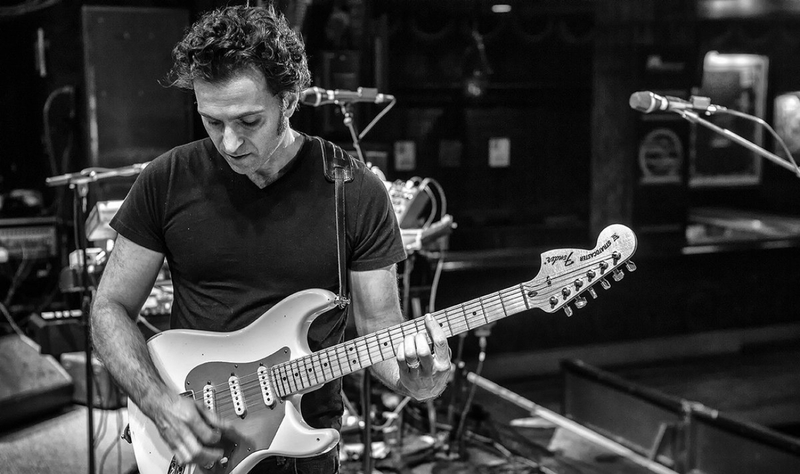 Dweezil – Well, growing up I spent a good amount of time with him in the studio and I got to go on tour with him and I played on stage with him a few times. I had a good understanding of why he liked doing what he was doing, and understood that it took time and how that actually was something that ultimately took time away from being home… you know, him not being at home as much a more conventional job for a more conventional Dad, but my experience was very positive in all of the interaction I had with him. Whenever I got to do anything musical and mostly was at home working in the studio it was just a great experience to see what he was doing and how he was doing it, so… I really can’t complain about any of that kind of stuff. Personally I choose to have a bit more balance in my life so that I have a bit more time with my wife and kids, but I do know that his greatest enjoyment was just the creative process, to be able to have something that was in his head that was very clear, an idea that he could think up and then suddenly it could be visible to the rest of the world through their speakers. That this is an audio representation of something that was in his head, and he really did have a unique ability to write music. For example, Ruth Underwood who played marimba and percussion for several years, she did not like to improvise, and my Dad would try and get her to play solos and things and she just never felt comfortable, and at one point after trying unsuccessfully to get her to improvise, he said okay you’re going to play this, and he stood in front of her onstage at a sound check and he just wrote a piece of music, just very stream of conscious, and he presented her with this piece of music which she did end up playing that night, and it went on to become a piece of music that is one of the most interesting melodies that he’s written and it’s one of the most exposed parts. So essentially it was a solo piece for marimba, but it’s the melody from the song ‘Redunzl’. If you listen to that one and you see how exposed the marimba is, it’s basically a solo. But it’s a really amazing melody, but for him to just say ‘okay, you’re going to play this’, and then that’s what he stood there and wrote?!? Off the top of this head? That’s crazy! Lynn – I had the opportunity to interview him in 1990, around the publication of The Real Frank Zappa Book, and I found him to be unique to talk to… very curious kind of individual, curious about everything, talking about Sardinian music and the Bauhaus movement and even expressing interest in moving to New Zealand. Starting a Bauhaus-style art school down here. Very different to the standard interview. Dweezil – Well he certainly was interesting and knowledgeable on so many topics, he was a walking encyclopedia, and one of the games that we would play was a game of trying to create words that should be in the dictionary but aren’t yet. So I remember playing one time where I suggested that we should come up with a word for the type of individual that only ever wears a rock and roll t-shirt and in less than a nanosecond he said ‘insignoramus’ which was a combination of insignia and ignoramus, so it was like a stupid logo person. But that was the kind of thing that he could do that stuff and say stuff off the top of his head that was so perfectly executed. He just had the ability to say what you WISHED you had the ability to say had you had extra time to think about it. His comments to people at precise times were pretty amazing. There’s a very funny quote where he was being interviewed by somebody that was saying to him, ‘Oh Mr Zappa I suppose with your long hair that makes you a lady’, and the interviewer that had said that was known for having a prosthetic leg, so my Dad said ‘well, with your wooden leg, I guess that makes you a table’. But he was probably only about 27 at the time of that interview, so that’s pretty brazen to just have that and not be flustered by somebody who is trying to disparage him. Lynn – I’m always surprised that he had a reputation for being callous, but to me he was a nice person to talk to, respectful and giving, and Pauline who was his secretary in the late ‘60s describes him in the same way. A real gentleman. 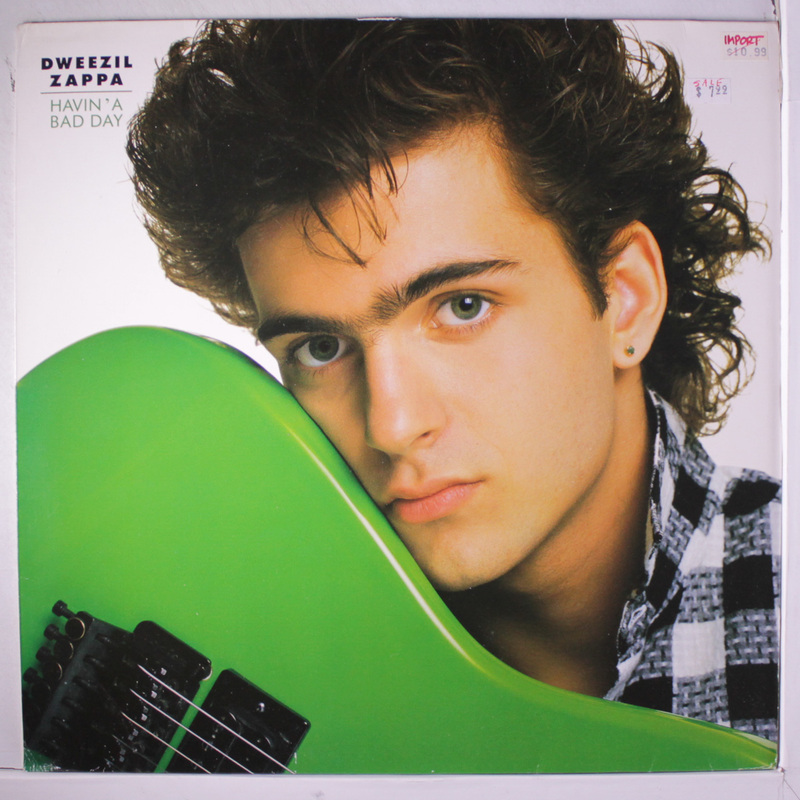 Dweezil – Yeah he was very, very thoughtful and very even-tempered, so when people described him otherwise it was clear that they actually didn’t know him or spend any real time with him, because that’s just not accurate to portray him as anything but a thoughtful and respectful and curious person. Did he say things that were blunt at times, absolutely, but that’s within his perview to be about to express himself. Lynn – The old saying ‘sticks and stones will break your bones but words cannot hurt you’, the contemporary generation seems to have forgotten about that, everybody’s a victim. Dweezil – Well it’s very strange how the world of political correctness has castrated language for people. Because even to the degree – I don’t know if it’s like this in New Zealand – but in America there’s been a movement for a while even at sporting events for kids, the losing team gets a trophy that’s virtually the same size as the winning team, because nobody wants anyone to get offended or feel ‘that’s not fair’. But if you didn’t win, why should you get a trophy? What are you teaching them? Oh, let’s set the standards really low so you don’t really have to achieve anything and you’ll get the same as everyone else. And it’s the same with trying not to offend everybody with language. I understand the value of being polite and things but sometimes you really do need to say it like it is, you know? Lynn – Well on that note my 30 minutes is up so thanks for talking to me, and I look forward to seeing you perform. Dweezil – We’re looking forward to coming down there, it’s a big thrill for us, so if you do end up making it down to the show, feel free to come up and say hello. ‘Dweezil Zappa Plays Whatever The F@%k He Wants’, Bruce Mason Centre, Takapuna, Auckland, February 20, 2018. Tickets from Ticketmaster. More information HERE.